A memorial and celebration of John Lennon: Oct 9 1940-Dec 8 1980. Born: John Winston Lennon, October 9 1940. Died: John Ono Lennon, December 8 1980. "All We Are Saying" by Barrett Golding- Lennon sings, talks, and testifies about peace, family, and art. "NYC/LA Radio" & "20th Anniversary Mourners" found-sound from The Professor (WFMU Audio Kitchen)- scanning the radio dial the night of Lennon's death, and mourners 20 years later singing in Central Park. "On Ed Sullivan" by Lynn Neary- an audio recollection by our host of Beatles live performances and 1963-64 fanclub Christmas messages. Host Gwen Mascai (WBEZ Re:sound) takes a swing at singing the "National Anthem" ("one of the most humiliating moments of my life -- caught on tape"). Dan Collison (LongHaulPro.org) provides play-by-play commentary on "The Potato Ball Caper." Barrett Golding spends a season with the Rookie League. Terry Allen defines the many meanings of "Dug-Out." And Philip Kent Bimstein plays ragtime ball with the St. Louis Cardinal's "Bushy Wishy Beer Man." The Life and Times of Solidod Woods, the last remaining member of her village of Mescalero Apache who lived on the edge of Death Valley. The Life and Times of Solidod, the last remaining member of her village of Mescalero Apache who lived on the edge of Death Valley. 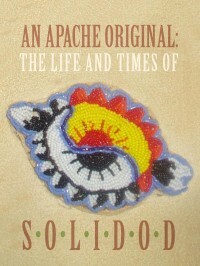 HV editor Larry Massett helped our friend Solidad publish her new e-book, An Apache Original: The Life and Times of Solidod . When I first met Solidod she was living alone in a tiny room in a rather depressing subsidized-income apartment complex in Florida. She herself was anything but depressing, though. A few minutes after we met she showed me the little knife she carries with her in her buckskin purse. "But Solidod," I said, "that's kind of a dangerous knife, isn't it?" I said- meaning, dangerous for an 80-year woman. "Yeah, it's sharp," she laughed, "but it would be better if it was rusty. So the cut would get infected in case I stab somebody." 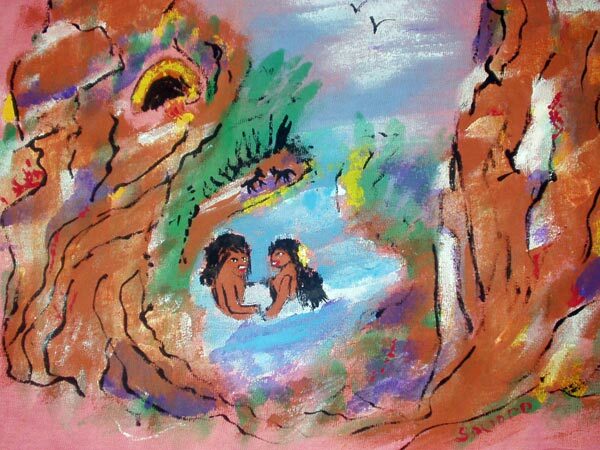 Me and my Indian, my husband; painting by Solidod. As the eagle soars high above the early dawn, he looks down on the barren boulders that surround most of the mesa. He spots a jackrabbit and a quail. Which way to go? Big is better, but quail is tastier. 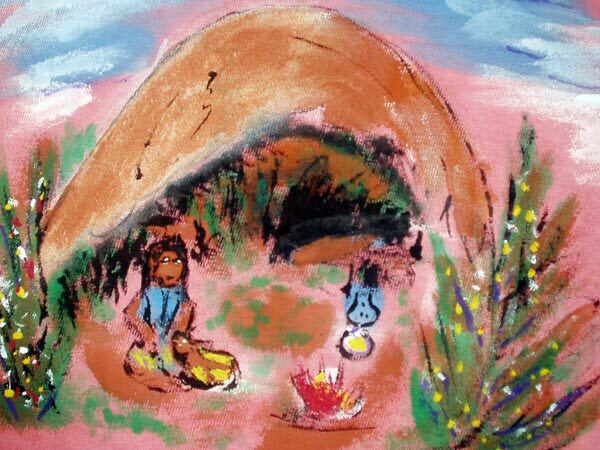 As he screams and dives on the quail an Indian man is coming out of his wickiup. That's the original mobile home. It's like a brush harbor only smaller. Sort of like a pup tent made out of brush. The man walks to the edge of the mesa. It is sunrise. Going to be another one of Mother Nature's beautiful days. He sprinkles pollen to the four winds and bows his head, thanking the spirits for all his blessings. He is thinking of his family. He wonders what they are going to do for food since the government did not come through- again. When there is very little food the Apache do not have babies. The women do not flow in hard times. This baby coming is a big surprise because it will be the only one for many moons. It is his daughter's baby. She has waited for four years for this. It will be soon now. Her father and her husband are very concerned. Getting ready to go to the grand entry of the Pow Wow. We had been under sail all the way so we didn't realize that the batteries were dead. We didn't know they were old and would not hold a charge. We came upon a mountain sticking up out of the ocean. No beach or nothing just a big-assed mountain. Of course as soon as it got between us and the wind we were done for. We dropped the sail and then we had no steering. We saw a cut in the mountain and a harbor there. We let her drift toward the cut, we were headed for that big-assed mountain so what are going to do? No wind, no batteries. So I said lets get the oars out of the lifeboat and use 'em to get to the dock. The captain said you can't do that, you might puncture your ribs. Well, they might get punctured anyways so let's try it. I got on the bow and the captain got on the stern. We paddled this yacht into the harbor. There was a little man waving us off, we kept coming, he kept waving, we kept coming, now he's waving a gun. We're trying to tell him our boat is broken. He's yelling, we're yelling, and don't forget the gun. Them some guys came alongside in a launch and took our line and took us to another dock. The captain told them our batteries were dead. They said they would take them and get them charged. We thought we would never see them again, but what else could we do? They took them. We went for a walk. Trying to get our land legs back. You know how they say you'd walk a mile for a camel, well, we walked about a mile and we saw a real camel. We also saw people living in caves. I saw a woman sweeping out in front of one. Birds were singing everywhere. There were all kinds of beautiful flowers. We got to the center of a park. They were having Cinco de Mayo, the Fifth of May. There was music, singing, and dancing. There were vendors with trinkets and food. I told the captain they must have know we were coming and were having a party for us. We found out the next morning why the little man was so upset, there was an ocean liner berthed there. We would have been squashed to bits. We went over to thank him. He got all red in the face when we kidded him about his big gun. The battery guys came back. One of them spoke English and he told the captain that the batteries were old and would not take a full charge. We got twelve new batteries. Six for now, six for backup. The guys wanted to take us for a tour of their town. OK. Does everybody drive on the wrong side and go hell-bent for everywhere? We went whipping round the mountains up and round the hair-raising curves, with the guys laughing. And talking all the way. Then whipping down the mountain and round the hair-raising curves. The next morning they asked us if we would like to see the phenomenon. We said yes, so here we went whipping up the mountain again. We went till the road ran out and then we walked about a quarter of a mile. There was a small cottage. There was a kid sitting outside on a rock. The guys said to give the kid a little money, so we did. A little lady came out of the house and asked us to come in. This human being had a great big head, and one eye was on top of its head and its nose was where its ear ought to be. It made noises, it had a little bitty round mouth. It had a tiny body with a big head. The lady said it was twenty-five years old. She said they wanted to destroy it but she wouldn't let them because it was God's phenomenon. The captain couldn't stand it so we went outside to wait. I didn't want to look at it much but the guys were nice to us and they thought it was something special. I didn't mind leaving there. Next the guys took us to see a lady who made goat cheese. She made us some coffee, she put some goat milk in it. UHH! I didn't mind leaving there either. When we got back down the mountain we met some more guys. They told our guides to bring us to their houses. In the islands the houses are built like terracing. They do not have streets, just steps and sidewalks. If you ask where so and so lives, he will say so many steps up and to the left or right at the red or blue door. We went seventeen steps up and to the green door. The house was spotless. They have an open-air patio inside the house. There was a young man there who wanted to play his guitar for us. He played and sang. It was beautiful. He wanted to go to America with us. The captain said no. We did not want to be responsible for anyone else. Then they took us to a bar. We were ready to be back on the ground. When we went in the guys told the bartender it was all right for me to be there. We were Americans. The ladies there were not allowed in the bar. They had us trying all kinds of strange things to eat. One thing I remember was a thing like a shrimp. They ate them legs and all. When it came to the squid I said thanks but no thanks. Me and my grandfather. He is naming me Solidod, Daughter of the Sun. An hour of horror for All Hallows' Eve, the first half is bloody, the second goes to hell: ESP, dreams and intuition drip "Blood on the Pulpit" by David Greenberger. La Llorona, the crying woman, is Mexico's bogeyman. ZBS adapts Cherokee writer Craig Strete's "The Bleeding Man." 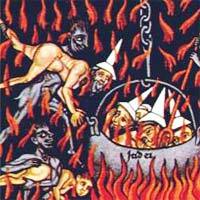 FM Einheit delves in Dante's DivineComedy in a "Radio Inferno." A woman narrates her found-sound trip to hell with Jesus. Shel Silverstein introduces us to "Monsters I've Met." And the 90 Second Cellphone Chillin' Theater wonders what's in "The Box." From a cassette tap found by The Professor of WFMU (mp3) & TheAudioKitchen.net. The storyteller crosses genders and religion in this Trick or Treat trip around town, from Kling’s CD Home And Away. 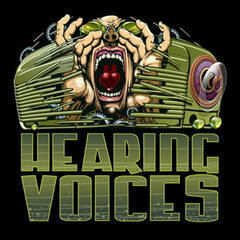 PORTRAIT OF A PLAGUE, a FREE one-hour (((HearingVoices))) Special for the week of World AIDS Awareness Day (Friday December 1 2002) Hosted by Joe Richman (from RadioDiaries.org). PORTRAIT OF A PLAGUE, Stories of AIDS Awareness: It's "Just Another Day At the Biggest Hospital In the World" in Soweto -- 2000 patients check in daily, half are HIV positive, host Joe Richman follows Sister Agnes Ramishiga on her shift. American RadioWorks' producers Stephan Smith and Stephanie Curtis give tape-recorders to three HIV-Positive teens in "The Positive Life." Dave Isay's "Letters to Butchie" are a dying mother?s letters to a son she'll never see. We hear selections from "And Trouble Came: An African AIDS Diary," a musical narrative by composer Laura Kaminsky. There's a poem by Lisa Buscani, an essay by Krandall Kraus, and we look inside the Memory Box Project for AIDS orphans. A tour of our nation's First Nations: NPR's Alex Chadwick rides into the Bitterroot Mountains with Natives and Forest Service workers. We paddle the Pacific Coast with the Canoe Nations of the Northwest. And native poets Henry Real Bird, Joy Harjo, John Trudell and Keith Secola sing us the stories of their homes and ancestors. USOP project. Music by Tomandandy. A National Geographic / NPR Radio Expeditions: Nez Perce tribal members and Forest Service workers travel the Nez Perce Trail on horseback, looking for lost histories and common ground. Featues Nez Perce elder Horace Axtell. Producer: Carolyn Jensen Chadwick, editor: Christopher Joyce; engineer: Suraya Mohamed. From the CD Traveling Circus . From the album, Bone Days, by actor, poet, Santee Sioux, musician John Trudell. From the poet’s collection, She Had She Some Horses. 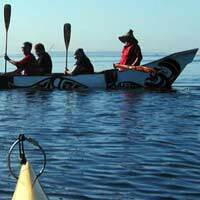 Every year the Canoe Nations of the Northwest boat trip along the Pacific coast, paddling and preserving their traditional culture on the Tribal Journeys. And check HV’s photo-audio webwork: Tribal Journey. 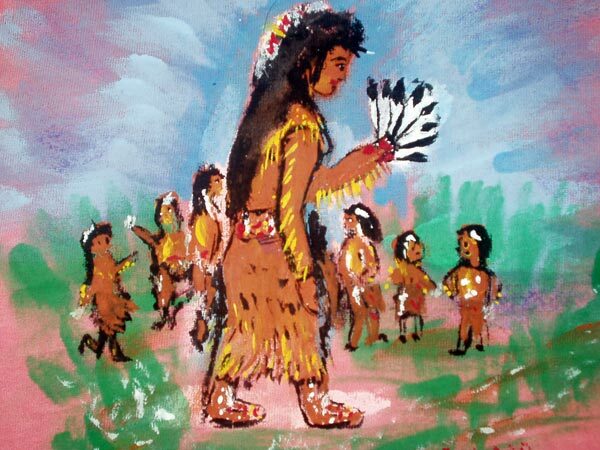 From the CD Honor – A Benefit for the Honor the Earth Campaign; and on Kieth Secola’s Wild Band of Indians. Also from Honor; and on the Smoke Signals soundtrack. Ulali: MySpace.